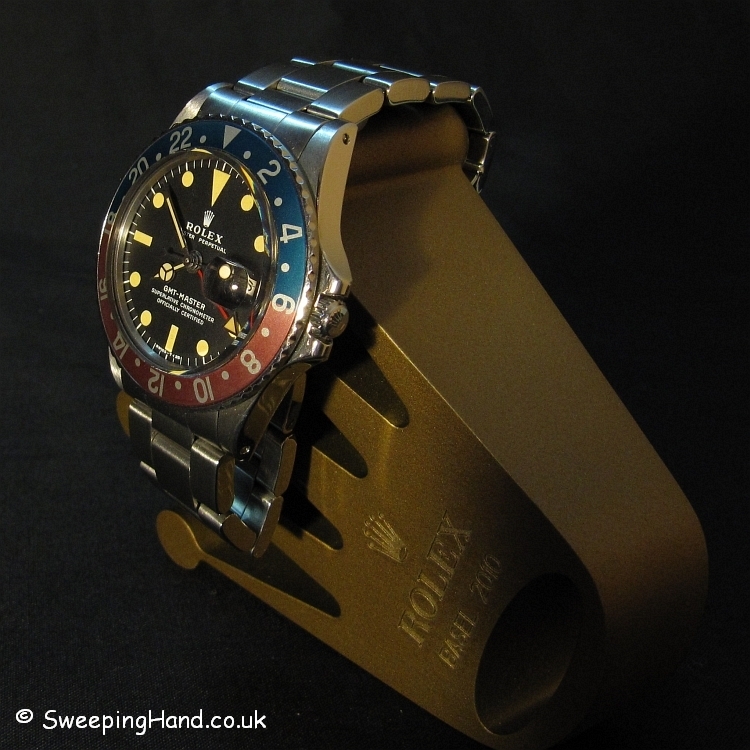 Here we have a Rolex 1675 GMT Master For Sale. Having had a stunning 1972 Rolex GMT Master in the last couple of weeks I was not expecting another so soon! But really good vintage Rolex can be like buses, none for ages then three all at once! 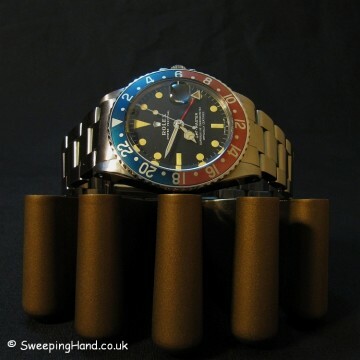 This is really an exceptional piece with the most beautiful charcoal grey dial, deep cream/yellow hour plots and matching hands and a faded fat font pepsi bezel insert that is to die for! 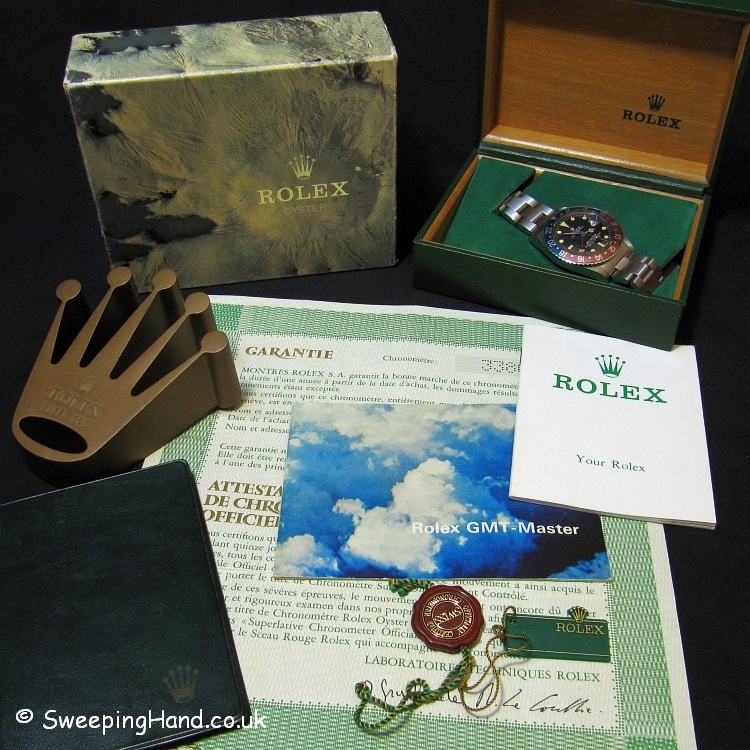 A Rolex 1675 with a 2.9m serial dating it to 1972 and had full Rolex service at Rolex UK in January 2006 and barely worn since (guarantee & receipt on file as shown). You can see the lugs are super fat and have that glorious Bexley Rolex edge to them. Comes on a correct original Rolex folded link 7836 oyster bracelet stamped 4th quarter of 71. Boxed with hang tags and rare GMT Master cloud booklet. In all honesty I could have listed this watch with no text at all and just the photographs – in person it is even better! Dial & Hands: Beautiful original GMT Master matte dial with beautiful deep cream/yellow plots and matching original tritium Rolex hands. Amazing faded fat font pepsi Rolex insert. 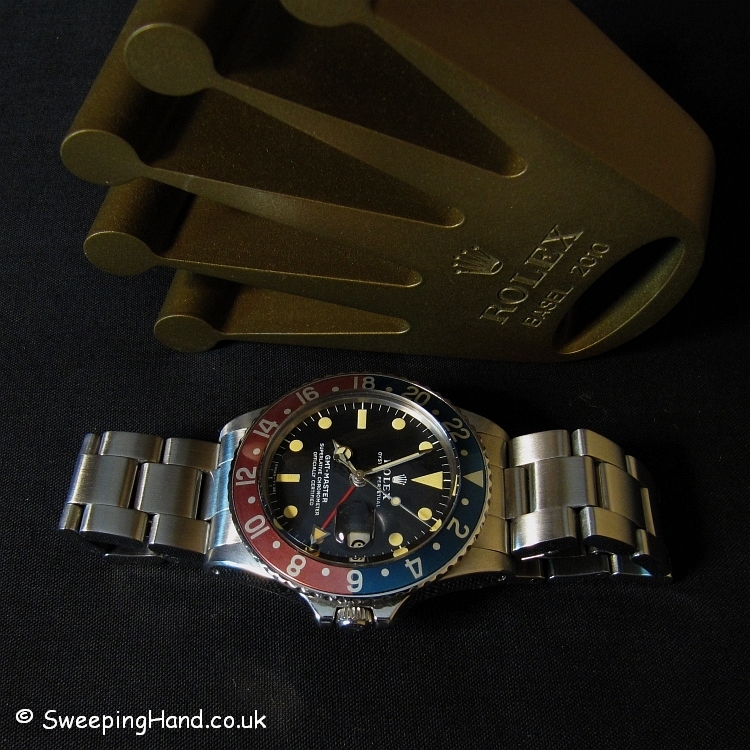 Case & Caseback: Thick Rolex 1675 case in excellent condition with great lugs and crown guards. 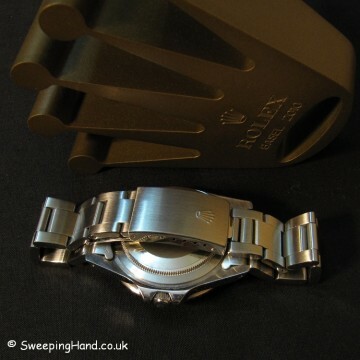 Rolex caseback correctly stamped. Serial numbers clearly visible between the lugs. Bracelet: Comes on a correct original Rolex folded link 7836 oyster bracelet stamped 4th quarter of 71. 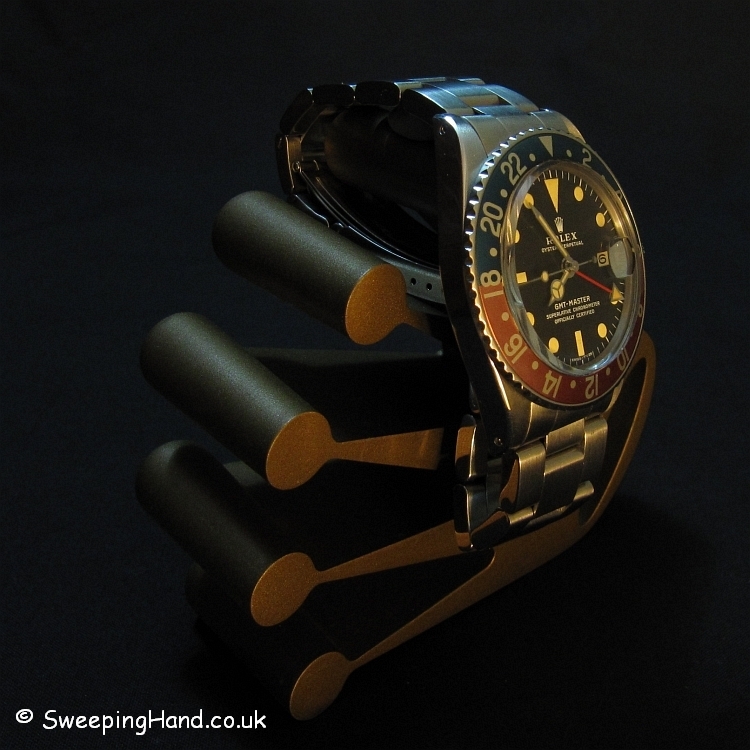 Movement: Original non-hacking Rolex 1570 movement keeping great time. i’m interested in the watch, can you hold it for me and we discuss details tomorrow?